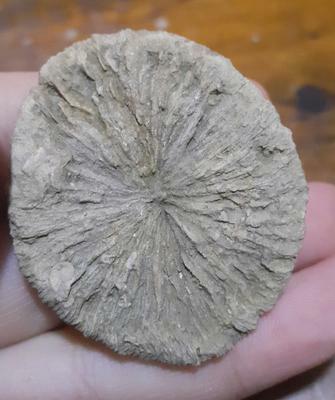 I found it on the hill close to my house in cardaklija macedonia I would love to know what it is ? Comments for What it is? 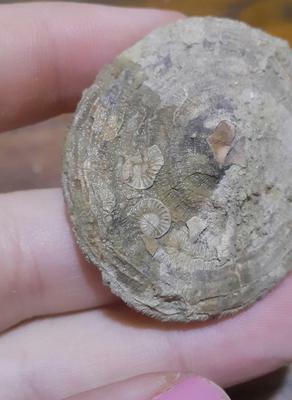 Large button coral (looks somewhat flattened during sediment compression)and, as already observed, a couple of small ammonites. I am guessing here, might be a sand dollar. The top looks like a limpet. There are 2 ammonites stuck on the top. Those are clear.